Havana Horses is situated in the village Tegalwaton, ‘the Stone Garden’, on the outskirts of the city Salatiga (for a map see Where to Find Us). The environment is green and tranquil, with acres of kebun, fruit and tree gardens, and rice fields in this mountainous area. The small village Tegalwaton has its own race course (see Be a Jockey!) and therefore you can find many horses in the area. The inhabitants of this horsy village are used to meet horses in the streets every day. Salatiga is a small city with approximately 170,000 inhabitants, which is located about 47 km south of Semarang and about 100 km north of Yogyakarta. 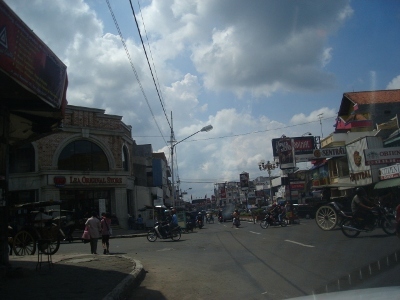 Salatiga is located on the northern foothills of Mount Merapi, a dormant stratovolcano. The active volcano is directly adjacent on Mount Merbabu’s south-east side (see More Pictures). 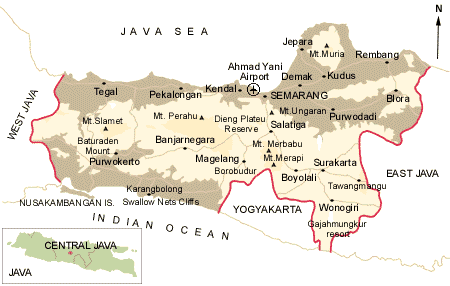 Of Salatiga’s 60 square kilometers two-thirds is hilly terrain and only ten percent is level. 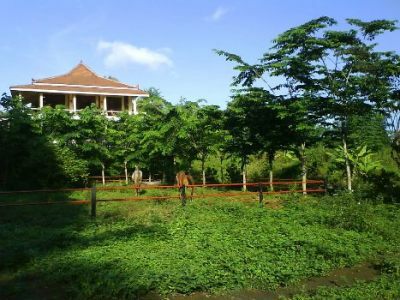 Its elevation is about 700 meters with typical tropical climate. The average rainfall is 118 mm (145 rainy days) with the highest temperature in October (31.8°C) and the lowest in July (23.9°C). Salatiga is best known for its university, Universitas Kristen Satya Wacana (UKSW), founded in 1956 and now having enrolments of over 10,000 students. There are several other educational institutions, among which an International School, so that Salatiga is seen as an ‘education town’. Many of its inhabitants make a living out of letting rooms to students. But Salatiga is also called a ‘retirement town’ because of its fresh air, green and mountainous environment and easy atmosphere. In the shopping area of Salatiga you can find modern fashionable items, but also a traditional market, batik and handy crafts, and a large selection of beautifully handmade golden and silver jewelry. 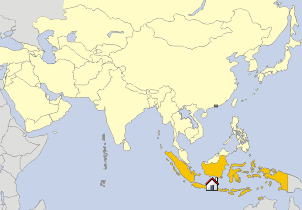 Foods and drinks are mainly Indonesian and Chinese. You can enjoy a freshly fried nasi goreng (fried rice) or grilled sate ayam at a small vendor’s stall, or indulge in Japanese sushi in a luxurious restaurant. In one of the many rumah makan (restaurants) or cafés, you can try one of the delicious fresh fruit juices of apokat (avocado), nanas (pineapple) or nangka (jackfruit). Writing in Javanese in the Prasasti Plumpungan (this inscription still can be seen), King Bhanu declared on the 31st date and 4th year of the Saka calendar: "Srir = astu swasti prajabhyah", which means “May you be happy! All the people”. Thus the village of Hampran was conceived as a Perdikan village,meaning a tax-free village. The people of this village called the place after the goddess Trisala and in the years to come this became Salatri and eventually Salatiga. In the modern calendar, this scroll is dated 24th July, year 750. This date has been officially marked as the birthdate of Salatiga. On 1st July 1917 the village of Salatiga was nominated as staads gemeente (small town) by the Dutch government of the colony. In those days Salatiga was known as ‘the most beautiful place of Central Java’, and it still is!